Témoignage : Since 2015 I have been participating in Erasmus+ training courses and we now have partners from all around the world with whom we plan to organize future projects. My first experience was actually within the context of a training course in Cyprus in 2015. It was called TIC TAC and I heard about it through the national agency in Luxembourg (SNJ at that time - as from 2017, Anefore is in charge of the youth sector). I wanted to participate in it because its outline said that we would learn the basics of how to set up projects in ERASMUS+. I definitely didn't get disappointed : I learned so much in a way that time just whizzed past. This kind of non-formal information transfer was for me a really new way of learning. I met new people from Europe and could talk to them about their work and ideas - so many different ways of working, so many NEW ideas were created. And in the END, we even set up some projects with the friends we made during that very training course. I have to admit that I've grown to like participating in such courses and thus always look for new and interesting ones to sign up for. 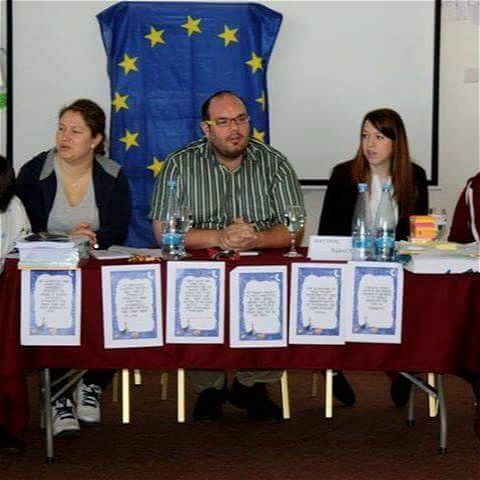 Since my first Erasmus+ experience, I've participated in a training course every year and took part in exchanges with the teenagers I work with, in countries like Norway, Germany, Macedonia, Croatia and the Netherlands. Meeting people and doing exchanges was not only a good experience for me, but also for the teenagers. They learned a lot of things about other people and their culture, and also met asylum seekers who made them aware of their story and every day life. I've also learned a lot from all my Erasmus+ mobilities and it will always be a discovery participating in new projects or training courses - be it to meet new people or create new ideas and projects. I had actually never imagined that Erasmus+ would be a programme that could bring me so much, so many new ideas. I was wrong. It helped me as a youth leader in order to get a better view on my work and to change and improve my methodology by using non-formal education in a different way, by paying attention to the 8 key competences of which I had known a few but never all of them. I've worked now for 12 years as a youth worker and as a youth leader, but in these 12 years I've learned most things from the exchanges and training courses organised within the framework of the Erasmus+ programme. And I'm sure there are plenty of other things I will learn in the future.